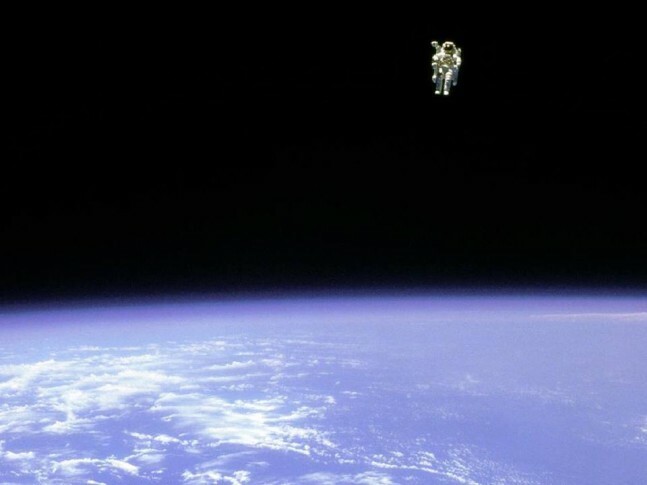 Thirty-one years ago today, on Feb. 7, 1984, mission specialist Bruce McCandless II became the first human to perform an untethered spacewalk (EVA) with the help of a Manned Maneuvering Unit (MMU). Flying at an altitude of approximately 170 miles (274 km), and up to 320 feet (98 m) away from Space Shuttle Challenger, McCandless’ historic flight was the first for the Lockheed Martin-designed MMU unit and also proved to be one of the most iconic moments of the Space Shuttle Program. Powered by two 16.8 volt batteries, the 308 lb (140 kg) aluminum frame of the MMU has 24 high pressure gas thrusters, two adjustable arms, and two hand controllers that control velocity and orientation. The MMU is designed to be recharged in a “docking station” near the forward section of the cargo bay of the shuttle. The MMU also has “station keeping” abilities to allow the astronaut to do work in zero-g while remaining motionless. Starting on the fourth day of the STS-41-B mission, Missions Specialists McCandless and Robert Stewart tested out the MMU both inside the safety of the payload bay and up to 320 feet (98 m) away from Challenger. They spent five hours and 10 minutes testing the device with great success over a two day period. The MMU was used again on two other missions during the year of 1984. Two months after the Challenger mission, astronauts James van Hoften and George Nelson both flew MMU’s to attempt the capture of the Solar Maximum Mission satellite during STS-41-C. Though the MMU’s worked flawlessly during the three attempts, the robot arm of the shuttle eventually had to be used in the capture. 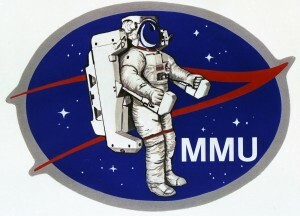 The last time the MMU was used was during STS-51-A in November 1984. Astronauts Joseph P. Allen and Dale Gardner captured two communication satellites, Westar VI and Palapa B2, which were ironically launched during the Challenger STS-41-B mission and had failed to achieve proper orbit. The captures were successful by the MMU wearing astronauts and both satellites were returned to Earth. After the Challenger disaster in 1986, the MMU was never flown again. NASA had judged the MMU to be too risky to use and opted instead for tethered space walks and using the robot arm. 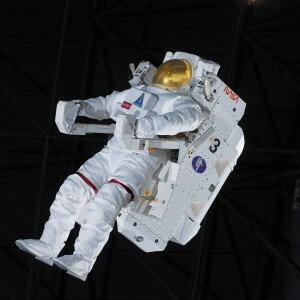 MMU #2 is now displayed in the Space Shuttle Atlantis exhibit at the Kennedy Space Center Visitor Complex. MMU #3 now hangs suspended over Space Shuttle Discovery at the Smithsonian James S. McDonnell Space Hanger located in the Steven F. Udvar-Hazy Center. Though NASA cancelled the use of the MMU, the lessons learned and its legacy carried on. A lightweight and less bulky version was developed called the Simplified Aid for EVA Rescue (SAFER). It is intended for emergency use only during a spacewalk and was first flown in 1994. ISS astronauts now wear it for all routine spacewalks. Gregory N. Cecil is the only Florida State Certified Educator and Nationally Certified Aerospace Technician in the nation. He holds a Masters in Aeronautical Science: Space Operations Management from Embry-Riddle Aeronautical University and worked on the Space Shuttle Program. He is a science teacher and has taught in both public and private schools. Gregory has written over 50 articles relating to the space program and continues to contribute to the promotion of space.